So behind am I with my ‘weeks that were’ that I’m really playing catch up here. I’ll take you on a whistle stop tour of what Primo and I have been up to in the past couple of weeks and then say 10 Hail Marys and an Our Father as penance for my poor organisation. Let’s cast our minds back to the halcyon days of half term. Well they were pretty bloody halcyon for me because I had a good few days to myself towards the end of the week which I chose to spend on my Grown Up Halloween in Liverpool. Before then, I tried to do some fun and unusual things with my partner in crime, two year old Primo. Between you and me, there’s no excuse for me not to do fun and unusual things every day with my little sidekick, as he doesn’t attend nursery all week. But aware that this time last year we were heading off to Center Parcs, and that for various reasons that’s not happening again this year, I thought we’d try out a few simple Staycation activities. Also, I’m kinda lazy. And disorganised, as we’ve already discovered. The internet is awash with suggestions of expensive days out – theme parks, day trips, mini holidays – and similarly there’s some wonderful blogs out there with tips for less pricey (or even better – free!) activities. But this is just a snapshot of some of the things we got up to that we’d never tried before. First, we went on an open top bus tour! This was mega exciting for Primo because the only other time we’d been on a bus was when we’d had to get one to go and pick my car up from the garage. First we missed the bus, then I tried to put my carefully counted-out bus fare in the bit where you scan your bus pass (or whatever tf that little saucer thing is), then the bus went a completely different route home, and I broke out in the stress sweats vowing never to go on one again. 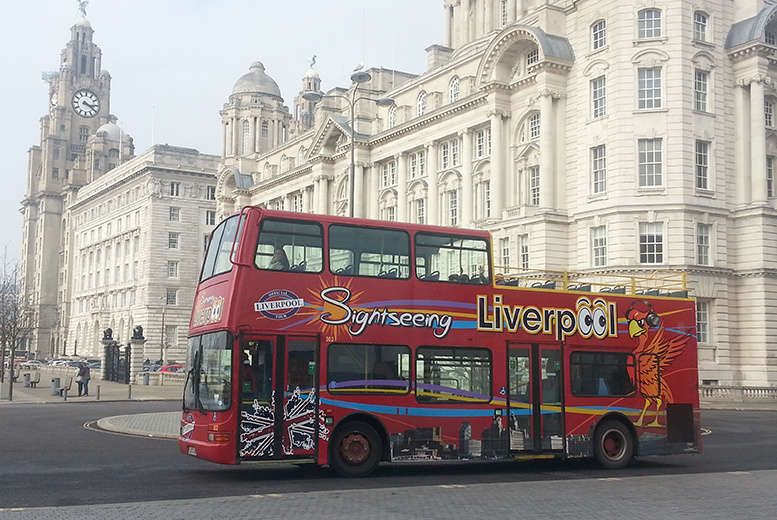 The open top bus tour was actually really interesting for me too because it’s great to see some of the intricate details of the architecture in Liverpool (a city which saw great wealth as a trading port but also from the triangular slave trade – the less said about that the better at least until Primo is old enough to understand). And even though I pride myself on knowing a thing or two about local history I found some really interesting stuff out during the hour round-trip which I’d never known before. It just goes to show you’re never too old/too cool/too clever to be a tourist in your own hometown (disclaimer: I am none of those things, especially not old). Next stop was the big wheel, down at Keel Wharf. 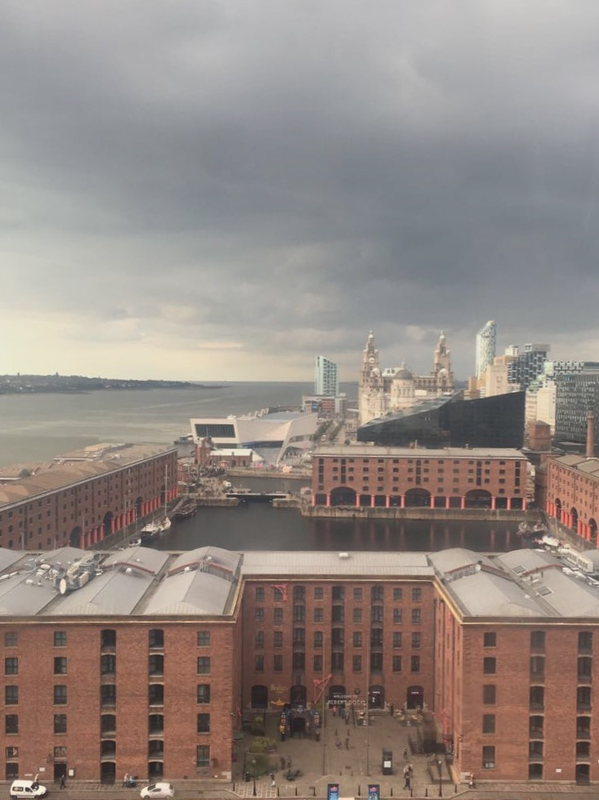 We’d got a bus tour and wheel combo ticket which was priced at £14 per adult and you can hop off the tour bus at the Albert Dock and walk across easily (it’s literally moments away, right next door). You can get other combo tickets e.g. for the bus tour and boat trip, or to the top of the soaring St Johns Beacon, but we’ll go back and do that another day. The wheel gave us some great views of the city and across the Mersey to the Wirral but it wasn’t terribly much fun for two year old Primo after the initial novelty of going up in the air and as it was quite a dull day everything just looked a bit grey and disinteresting to him. For the grown ups though, you get to do some great landmark spotting. 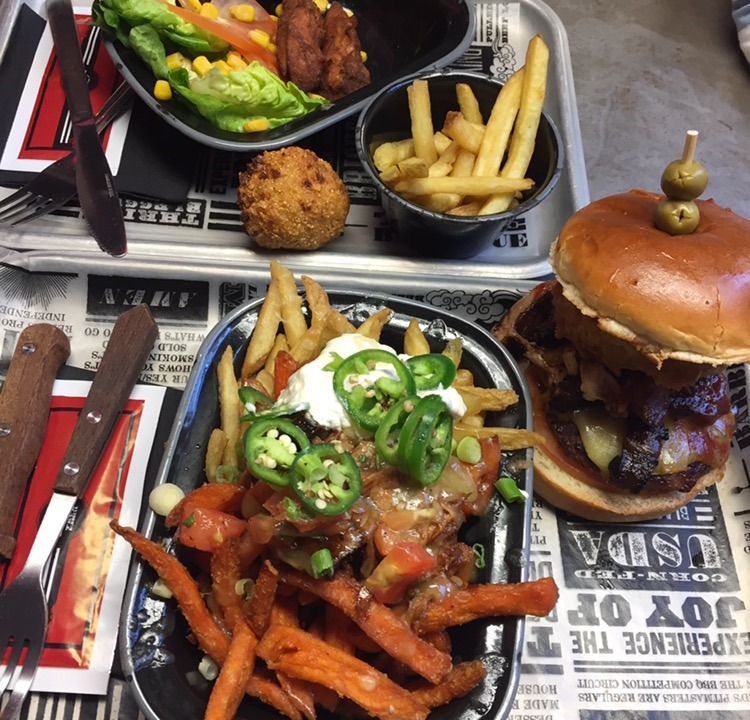 We cheered ourselves up with a meal at Red’s True Barbecue on Hanover Street where the Mac n Cheese Balls were to die for and the swine fries were out of this world. Primo’s kids meal was great value for money but bear in mind there’s quite a lot of salt and flavouring for little ones. What he enjoys the most is the American garage style them and always likes to check out the tools displayed on the wall, the real life motorbike, and the truck suspended from the ceiling. An absolute must for any vehicle-mad kid like mine. We finished off our pre-Halloween fun with pumpkin picking which I didn’t even know was a thing until I bowed to the peer pressure emanating from Instagram. I’ve never even taken him to a Pick Your Own in the summer, although in my defence that’s mostly because he’d be an awkward little bugger and I’d be the one who had to do all the picking and probably have to carry him and several kilos of berries (to get our money’s worth) back to the car. Despite jumping on the Instagram bandwagon, I choose NOT to take any pictures of our pumpkin picking trip. Partly because if you’ve seen one kid in wellies picking a pumpkin, you’ve seen them all. And partly, because some things are just nice to keep to yourself.